Jeremiah Jolliff is an incredible artist who captures the beauty and more of each scene he draws or paints, or what comes from his own imagination. He is a traveler and very much enjoys the outdoors, which is greatly reflected in his creations. I have included a few samples of his drawings and paintings here in this blog. 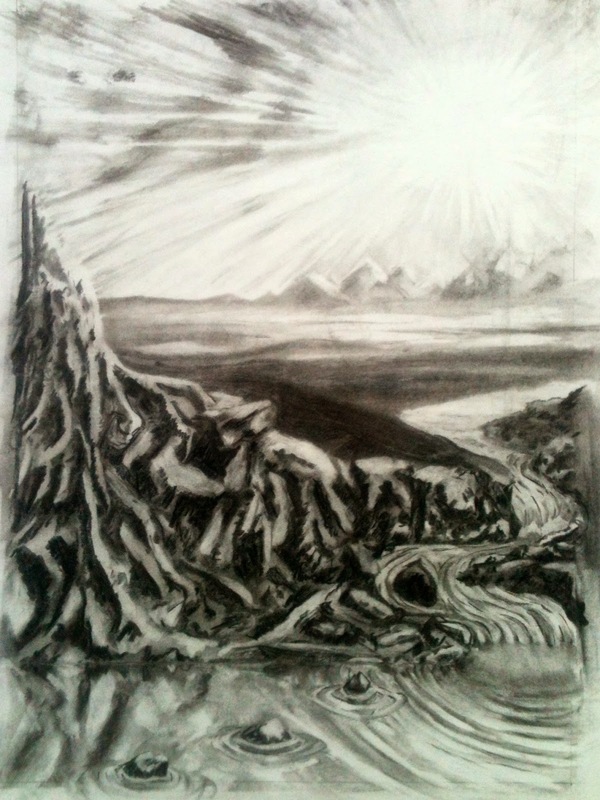 This first piece is a drawing entitled Morning on the Volga. Jolliff used charcoal and paper for this piece, and the scene was derived from his own imagination. 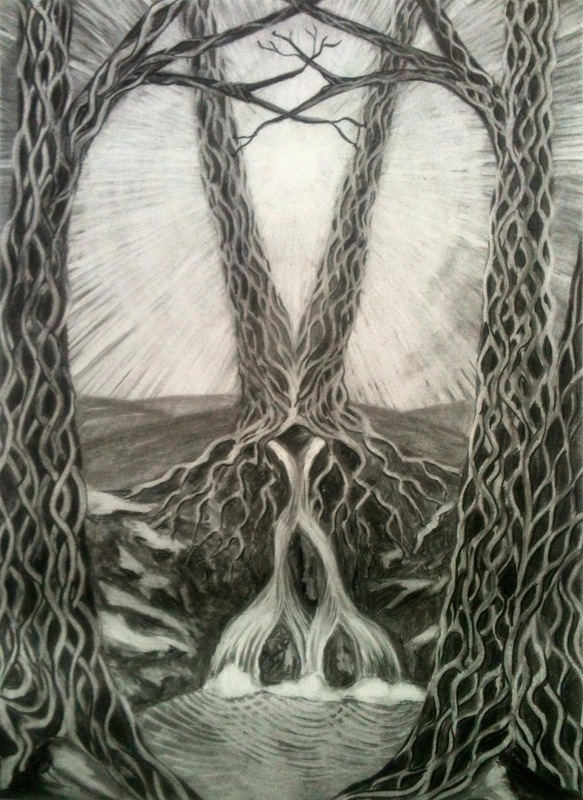 This next drawing is entitled Earth's Gatway, and was also created using charcoal and paper. 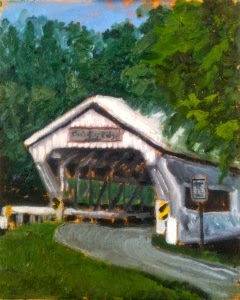 This painting is entitled Brubaker Bridge, and was drawn on scene in Preble County, OH. 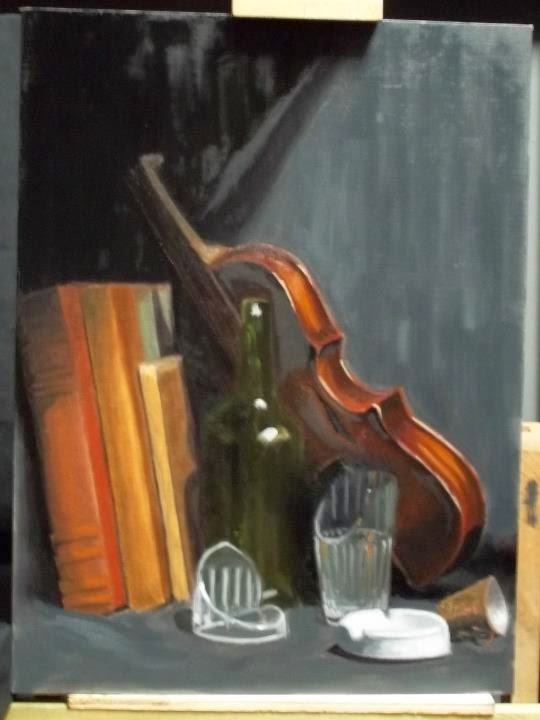 This painting is entitled Empty Musings, and was created with oil on linen mounted to a board.